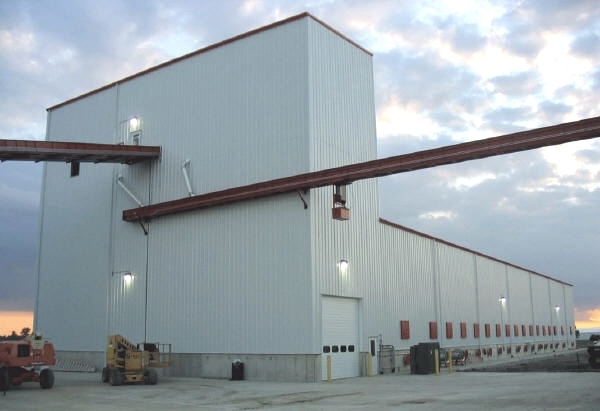 The Prairie team brings decades of experience in process development, design, and construction management focused on the agricultural processing industries. Our uses of different technologies, whether it be in 2D with AutoCAD, 3D with Solidworks or any specialized software, mixed with our legacy, is bound to bring the success the costumer expect for any projects. A food grade conditioning line. A system that cleans speciality types of corn that are sold for specific uses to different processors. Project's particularity: to fit the equipment inside a pre-existing building and still keep a proper flow while creating an user-friendly system. A Single Pass Reversing seed corn dryer, use to dry seed corn from 40% to about 12% moisture. The main feature of the dryer is that the drying air is used only once and is heated using a hot water heating system. 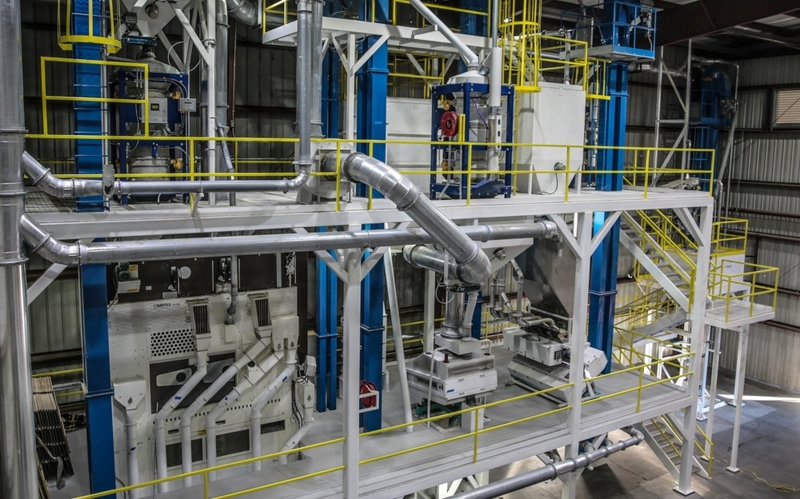 Project's particularity: constructing this type of dryer in a fairly remote area, without compromising quality and safety, while using local resources to control costs. A corn shelling and precleaning system with bulk storage bins. The system is used to remove the dry seed corn from the cob, preclean it and then, store it in a bin, waiting for further conditioning. Project's particularity: the foundation of the bins is also the hopper for the bin. Each bin has a concrete sloping floor that allows it to be unloaded onto a conveyor that runs in a tunnel down under each concrete hopper. An edible bean cleaning facility, which cleans different types of edible beans that are then resold to consumers. Project's particularity: incorporating newer technologies and changes to an aging system. 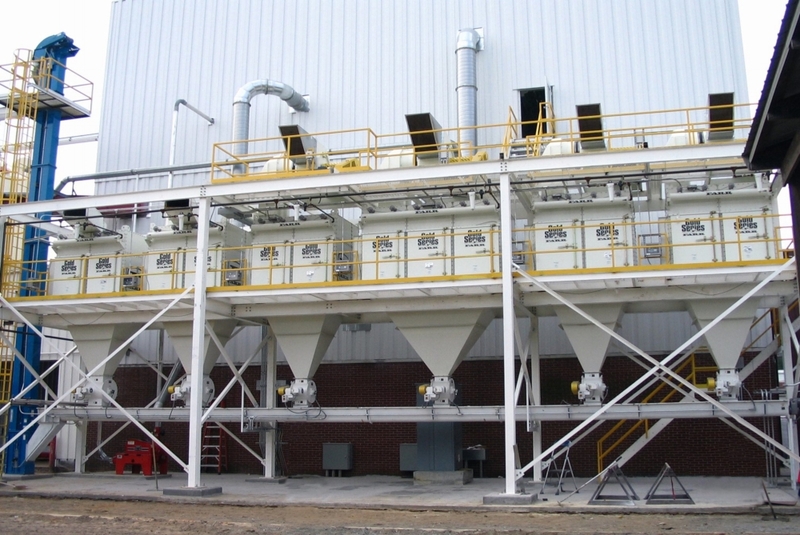 A dust collection and filtering equipment installed on a soybean seed cleaning system. Project's particularity: collecting the dusty air that is generated in the conditioning system by different pieces of seed cleaning equipment.